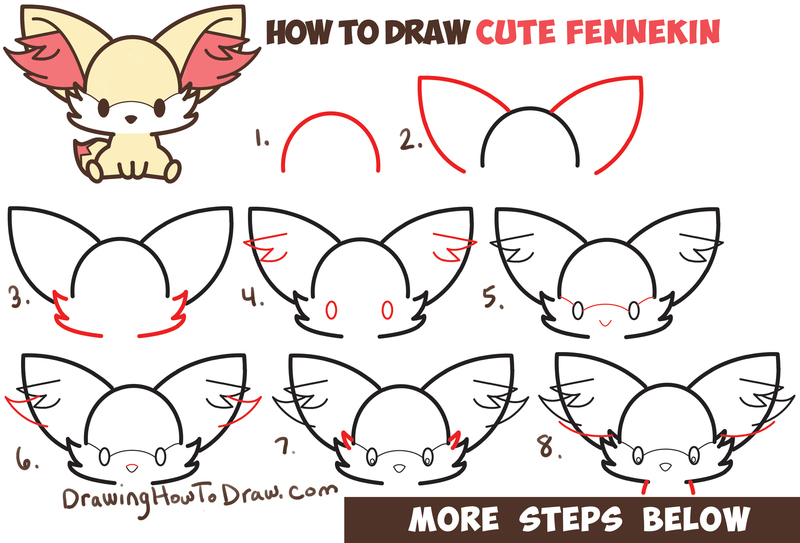 Today I’ll show you how to draw a super cute Fennekin from Pokemon with simple to follow, step by step drawing instructions. 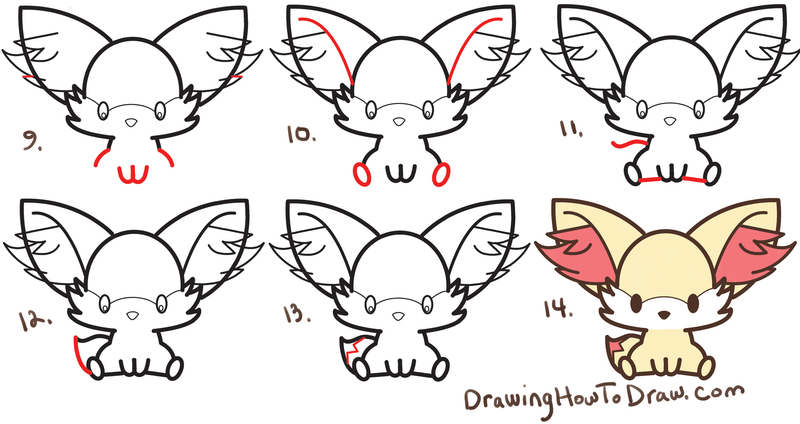 This baby version of Fennekin will be one of the cutest things you’ll ever draw. I got the idea from these cute little Pokemon figures on Amazon. I will guide you through the process with easy to following methods. 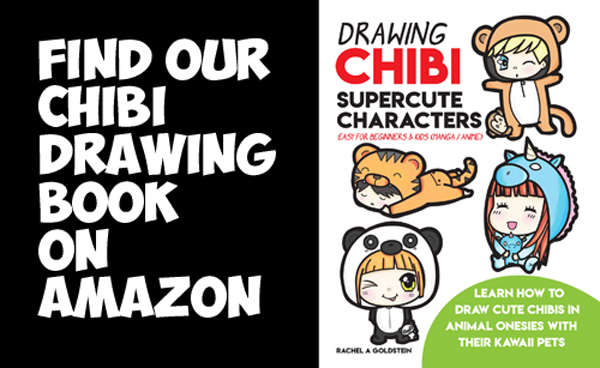 Happy Drawing! (Step 2) Draw curved letter “V” shapes for ears. (Step 3) Draw #3-like shapes on the sides of his face. (Step 4) Draw sideways “M” shapes in the ears. Draw ovals for eyes. (Step 5) Draw a “V”-like shape for the nose. Draw curved lines around his eyes. (Step 6) Draw sideways “V” shapes in the ears. Draw a curved line on the nose. (Step 7) Draw sideways “V” shapes on sides of his face. (Step 8) Draw lines for his body. Draw a curved line on either side of the face. (Step 9) Draw curved lines on the sides of his body. Draw a sideways #3 shape for legs. (Step 10) Draw a curved line in each ear. Draw ovals for feet. (Step 11) Draw a sideways “?” shape for the tail. Draw lines around the legs. (Step 12) Draw a curved line on the tail. (Step 13) Draw a sideways “M” shape in the tail. Idk if you already did this drawing but can you draw Squirtle the pokemon in a eevee onesie please and thank you! I love these simplified drawing techniques, they’re great for motivating beginners! Draw High School DXD pleaseeeeeee DRAW IT For People And me.